Six weeks ago, Jana Dagdagan and I visited the Peekskill, New York factory of Soundsmithher first time there, my second. Although I didn't mention this to the company's President and Chief Engineer, Peter Ledermann, the thing that most impressed me during my second visit was how little had changed since my first, in April of 2015. In particular, all but two of the employees I saw at Soundsmith this year had been there during my first visit; that suggests an experienced workforceno small advantage in the manufacturing of phono cartridges, where the requisite skills are specialized, to say the leasta setting where people feel sufficiently challenged and appreciated that they stick around for years rather than mere months. Herb and Jana were visiting me in Albany, NY, at the 1936 semi-mock-Tudor house I now call home. The real star of this video is my dog, Chatter Dudley, an 8-year-old Jack Russell Terrier with a fierce fondness for Herb Reichert (they had met once before), and who had Jana Dagdagan saying, by the end of the day, "I wish I had a dog." Unfortunately, the cameras weren't running when Chatter took a running leap to sit next to Herb while he was on the couch, listening to the blue-vinyl version of Puente Celeste's Nama. There is a particular art that many Americans have mastered, involving the collective lamentation of the unwelcoming nature of the French towards American touristswhether this has been experienced firsthand or not is irrelevantcoupled with inexplicable, unwavering desire for all that the French stand for. The art, the wine, the cheese, the architecture, the haute coutureit is all of these, yes, but it is (I believe) the all-encompassing French vibe that we are drawn to. 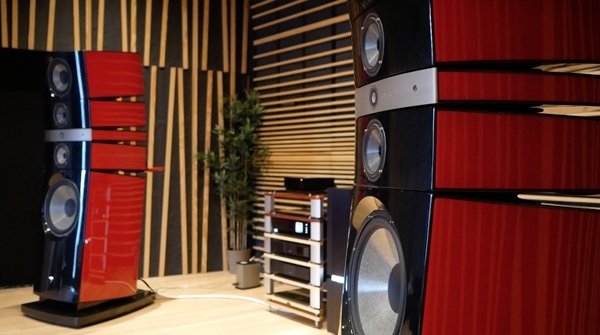 It was all this that summoned me to France for a personal getaway last November, during which I snuck in a brief day trip to the factory of renowned audio giant Focal. Located in Saint-Étienne, a city in east-central France, Focal's headquartersor self-described "undercover facility, production site"is no more than a couple hours from Paris by train. In this video you will sit with me in the Bed Stuy bunker as I work on a Follow Up review of the shiny Joseph Audio Pulsar loudspeakers. You will hear what I hear. You will see how small my 13' x 11' x 9.5' listening room really is. You might notice it is not a sealed box but opens stage right and left to halls and other rooms. You will see my sturdy (and mechanically enhanced) Home Depot equipment rack and the Mytek HiFi Manhattan II DAC . . .
Richard Matthews has sold upwards of 30,000 tubes in the last ten years and he still has 100,000 tubes to go! 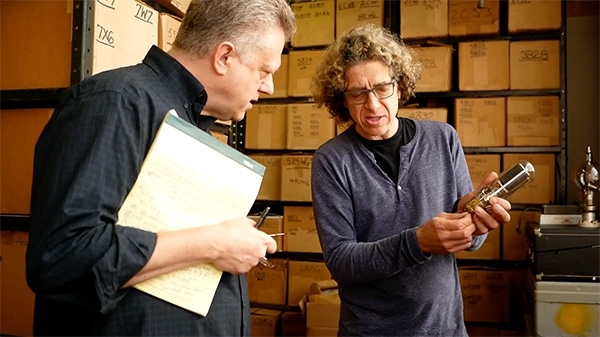 Working out of his Leeds Radio warehouse in the Bronx, Matthews has every tube imaginable in stock, as well as a vast variety of tube testers, classic radios, capacitors, beautiful vintage tube boxes and many, many collector's pieces. 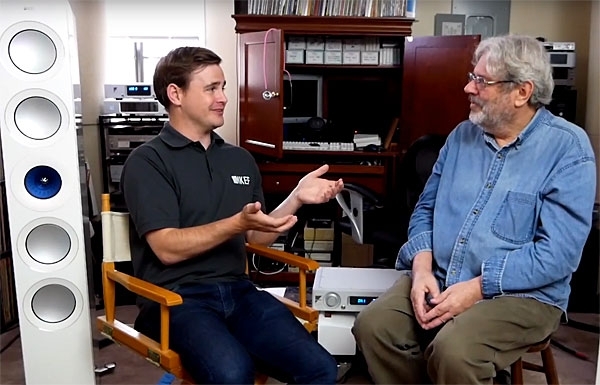 In the first two parts of our video coverage of Jana Dagdagan's and my visit to PS Audio in Boulder, Colorado, we toured the factory and I interviewed the company's founder Paul McGowan. In this final video, I listen to three of my own recordings played on the legendary IRS V loudspeaker system, driven by PS Audio's BHK 300 monoblocks. I recorded the sound with Sennheiser's "Ambeo" binaural system, which mounts microphones on the outer surfaces of a pair of earbuds, and if you listen along on headphones, you will hear what I heard! Earlier this week, we posted a video blog with PS Audio's founder and CEO Paul McGowan giving Jana Dagdagan and me a post-CES tour around the Boulder, Colorado company's factory. 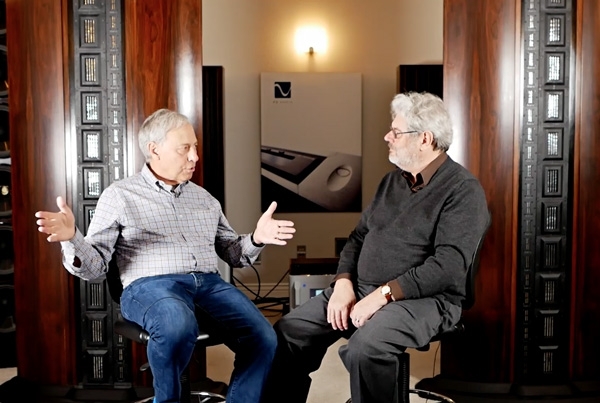 Following the tour, I sat down with Paul in Music Room One and in a wide-ranging conversation, we talked about amplifiers and loudspeakers, DACs and audio systems, and the state of high-end audio. 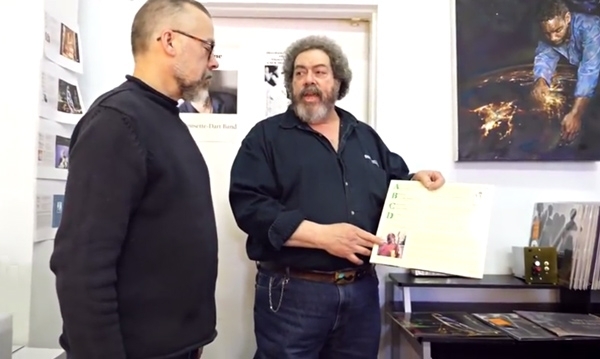 Immediately following the 2018 Consumer Electronics Show, our resident videographer Jana Dagdagan and I visited PS Audio in Boulder Colorado. The company's founder, Paul McGowan, gave up his Saturday to give us a tour of the factory. 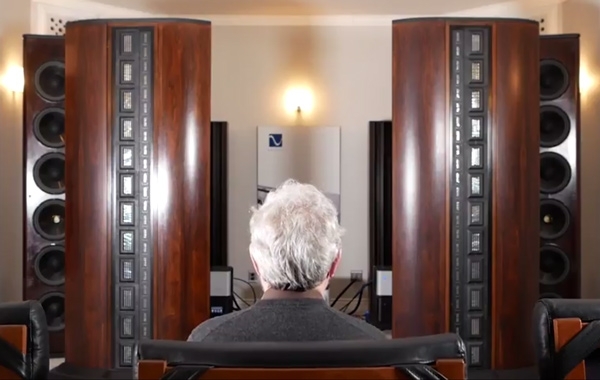 Back in the early summer of 2017, Jack Oclee-Brown, KEF's Head of Acoustics, visited John Atkinson to set up the KEF Reference 5 loudspeakers in his listening room. JA's review of the Ref 5 was published in October 2017, and during Jack's visit JA talked to him about the design of that speaker. 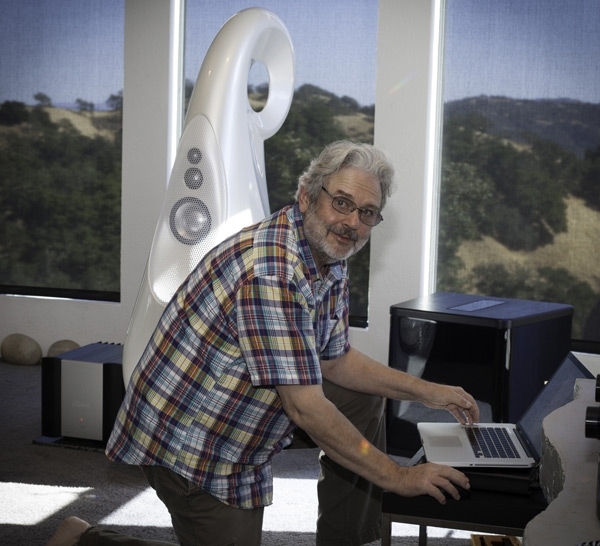 But they also discussed KEF's affordable "Q" line of speakers and the challenges a manufacturer faces in bringing an inexpensive loudspeaker to market, the subject of this interview. 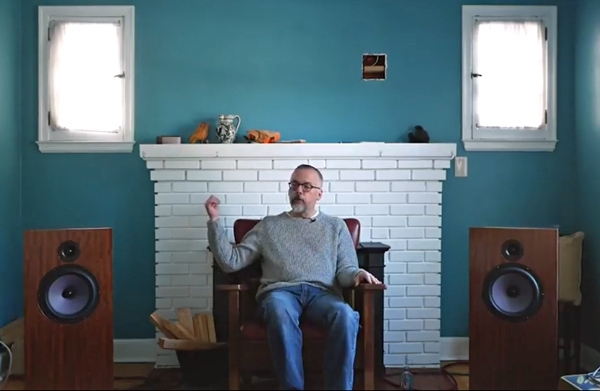 "Richard Vandersteen doesn't look like a typical loudspeaker designer," wrote Ken Kessler when he interviewed Vandersteen in the July 1988 issue of Stereophile. 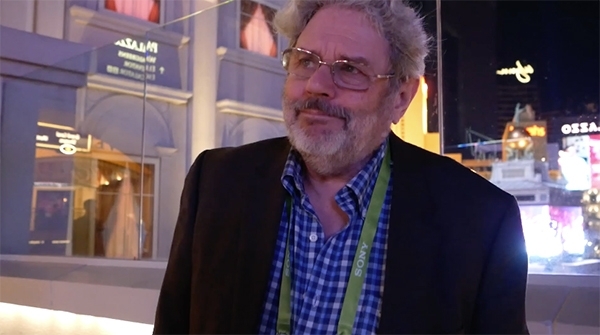 JA talked speakers with Richard Vandersteen at the 2018 Consumer Electronics Show, held January 9-12 in Las Vegas, NV. As I wrote in our first video report from the 2018 CES, held January 9-12 in Las Vegas, NV, for our video coverage we purchased Sennheiser's "Ambeo" binaural system, which mounts microphones on the outer surfaces of a pair of earbuds. 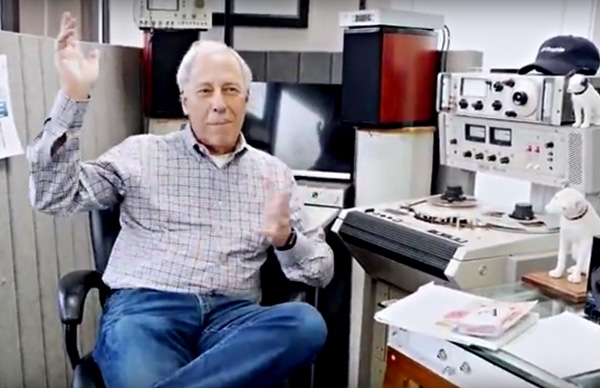 In this report, John Atkinson listens to some of his recordings in the DeVore Fidelity and dCS/D'Agostino rooms and offers his thoughts on what he had just heard. He also talks to exhibitors about their thoughts on the show and offers some final comments before heading to a bar for a well-earned beer. But first, John Quick of dCS and Rob Darling of Roon Labs find themselves in a bar featuring a mechanical bull. Will they try to ride it? For our video coverage of the 2018 Consumer Electronics show in Las Vegas, we purchased Sennheiser's "Ambeo" binaural system, which mounts microphones on the outer surfaces of a pair of earbuds, thus allowing the ears' pinnae to influence each mike's pick-up pattern. The Ambeo connects to an iPhone. 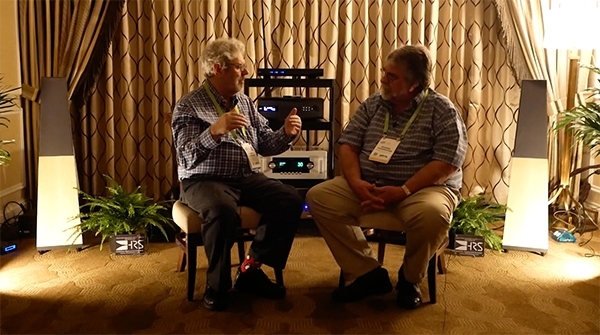 In this report, John Atkinson visits the Lamm, Vandersteen, and VTL rooms, talks to exhibitors about their systems and their thoughts on the show, listens to some of his recordings, as well as some chosen by the exhibitors, and offers his thoughts on what he had just heard. But first, Michael Fremer shows off his Karaoke skills! 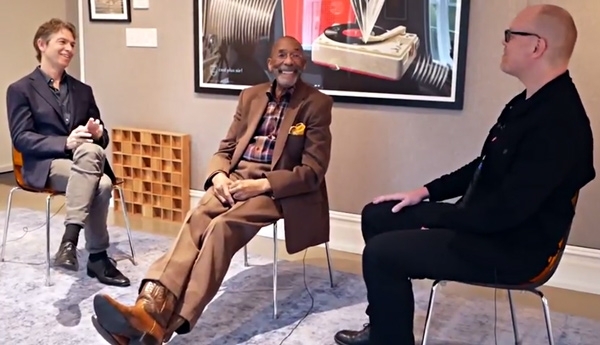 From left to right: Gideon Schwartz, Ron Carter, and Stephen Mejias in the listening room at Audioarts. I'm sitting next to Ron Carter in the listening room at Manhattan dealer Audioarts, trying not to cry. We're listening to "All Blues," the title track from Carter's 1974 CTI releasea meditative rendition of the Miles Davis masterpiece that has been slowed-down and elongated in such a way that it practically pulls tears from eyes as easily as Carter pulls notes. It's hard to believe that anyone other than Carter has ever touched this piece. Right now, it belongs entirely to him. The system through which we listen is doing a fine job of articulating Carter's distinct combination of purpose and passion. To describe his performance as mere magic would be an insult to his craft, yet to focus too heavily on his discipline would be an injustice to his art. 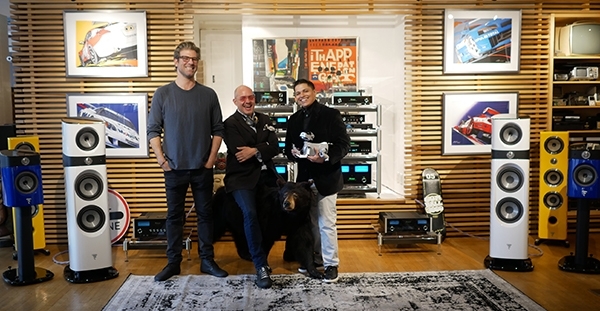 In an industry constantly perplexed by the absence of youth, diversity, and appreciation for the hobby, three audiophiles set out to revolutionize the industry with the opening of a new hi-fi shop in New York City that is anything but ordinary. 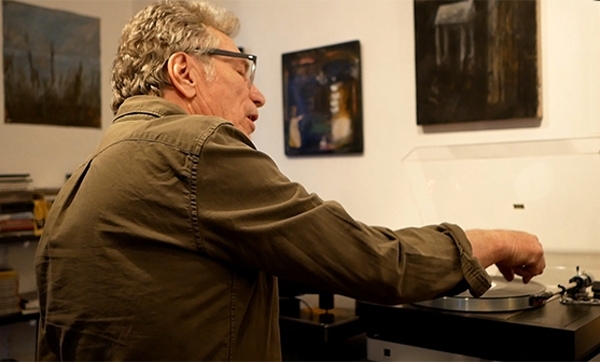 NoHo Sound & Stereo (NoHo Sound for short) is located in a swanky loft in the lower Manhattan district NoHoopen seven days a week, by appointment only, with a second location in Chelsea. In addition to selling hi-fi, they host weeklyyes, weeklylive music events of all genres, where startups like Groupmuse and Sofar Sounds use their space for performances, with 100% of proceeds going to the musicians. They also host events in collaboration with the nearby World of McIntosh Townhouse.